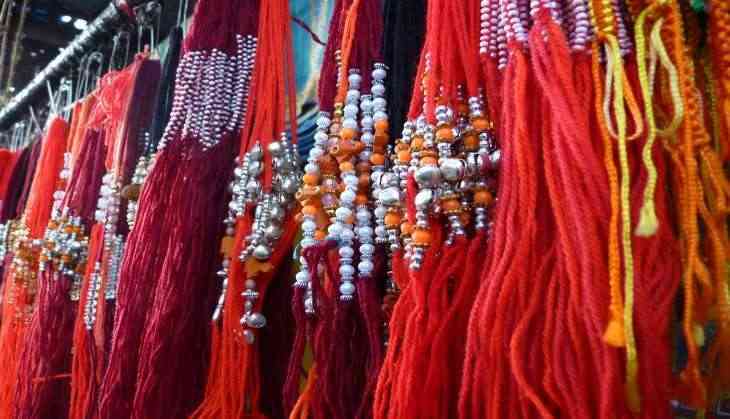 The Muslim wing of Rashtriya Sawayamsevak Sangh (RSS) on 25 July said that it will run a 'rakhi campaign' across the country in which Muslim girls will tie rakhis to Hindu boys and Hindu girls to Muslim boys. According to the Muslim Rashtriya Manch (MRM), the RSS' Muslim wing, the campaign will be launched on August 3 from Rajasthan's state capital Jaipur after which on August 5 and 6, it will be held in New Delhi and Lucknow in which the Manch's patron Indresh Kumar will also be present. "Muslim sisters will tie rakhi to him (Indresh) also. In Lucknow, there will be two programmes, one of which will be exclusively for divyangs. The only objective of the programme is to promote brotherhood among Hindus and Muslims and preserve our Ganga-Jamuni culture," MRM convener Mohammad Afzal told PTI. He said his organisation has decided to run this campaign in 12 states. "As part of it, Muslim girls will tie rakhis to Hindu boys and Hindu girls to Muslim boys and promise each other's protection," Afzal said. 'Rakshabandhan' is on August 7. "In the entire month of August, we will run this campaign across the country. We used to celebrate festivals together irrespective of castes. In past there were many occasions, where Muslim brothers have protected Hindu sisters," he said. The RSS' Muslim wing convener said that on Bakrid (on September 2), it will appeal to Muslims not to slaughter cows as it was matter of faith for Hindus. "Muhammad Sahab had said that cow milk is medicine and its meat is harmful. His preachings say that feelings of other's religion should not be hurt and this should be considered by everyone," Afzal said. MRM had earlier organised cow milk parties in the month of Ramzan across 25 states during 'Iftar', which is the meal with which Muslims break their fast. "Cow milk is healthier than beef. That was why we had served cow milk for breaking the fast during Iftar. The highest number of Iftar parties with cow milk was organised in Uttar Pradesh," he said. MRM was set up in 2002 by former RSS chief K Sudarshan with the objective of reaching out to Muslims.